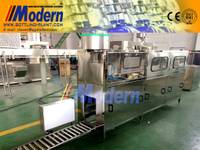 5 gallon bottling equipment - Buy Product on Zhangjiagang Modern Machinery Co., Ltd. This 5 Gallon Bottling Equipment specially produces 5 gallons water plant, whose types(b/h)are: 100 type, 200 type, 300 type, 450 type, 600 type, 900 type, 1200 type and 2000 type. 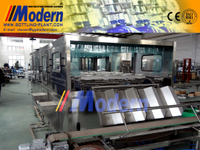 This machine integrates bottle washer, filler and sealer into one unit, in order to achieve the purpose of multiple injections of washing and sterilizing by means of liquid washing and leaching are used in bottle washer, Washing solution can be used circularly. The 5 Gallon Bottling Equipment sealer can seal bottle caps automatically. This line equips with water spraying device to sterilize caps of bottles in order to ensure those caps are aseptic and healthy, also this line can automatically carry out bottle feeding washing, sterilizing, filling, capping, counting and products discharging. 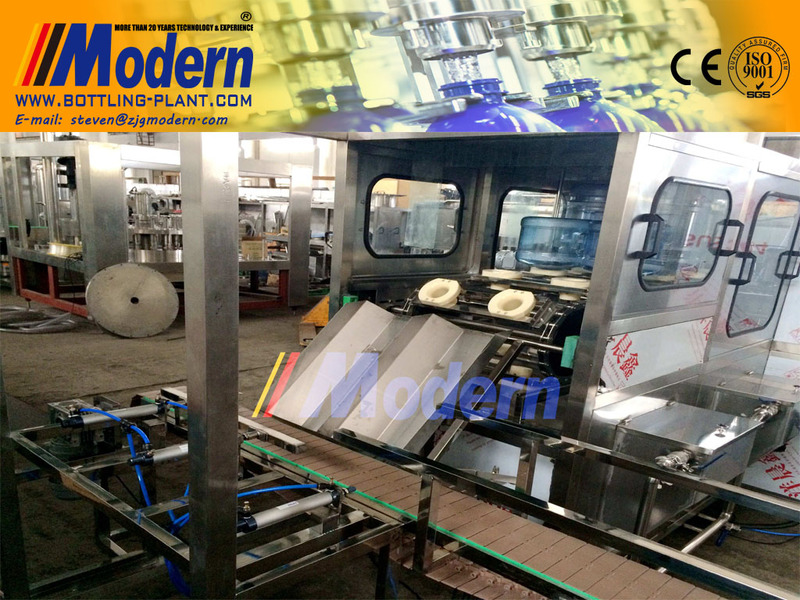 It is a new kind of barreled water auto-producing line, which integrates mechanism, electricity and pneumatic technologies together.This mineral water plant is also can be used for 3 gallon water filling.